Five Teenagers Injured in Rollover Crash on Florida’s Turnpike | Schuler, Halvorson, Weisser, Zoeller & Overbeck P.A. 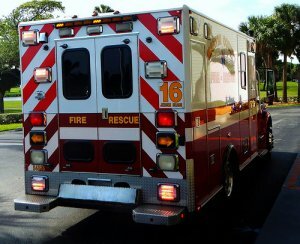 Five teenagers were among the injured victims in a rollover crash involving an SUV on Florida’s Turnpike, Hobe Sound. Police are investigating a car crash on Florida’s Turnpike which left five teenagers with serious injuries. One of the occupants of the car, a 14-year-old girl, was ejected from the vehicle during the crash. According to police reports, the driver of a gold Toyota Sequoia SUV was traveling northbound on Florida’s Turnpike with five passengers in the vehicle when he lost control and drifted between lanes before rolling over a couple of times. The vehicle finally came to rest against a tree in the median strip. Police say the driver of the SUV might have dozed off for a minute before losing control of the vehicle. A front seat passenger in the SUV, a 15-year-old boy, was hospitalized for multiple fractures, while three teenagers in the backseat were also hospitalized for multiple injuries. The 14-year-old girl who was ejected from the vehicle sustained multiple bruises and a broken femur. Paramedics placed her in an ambulance for transport to the hospital. Meanwhile, the driver of the vehicle sustained multiple lacerations and fractured his left arm.